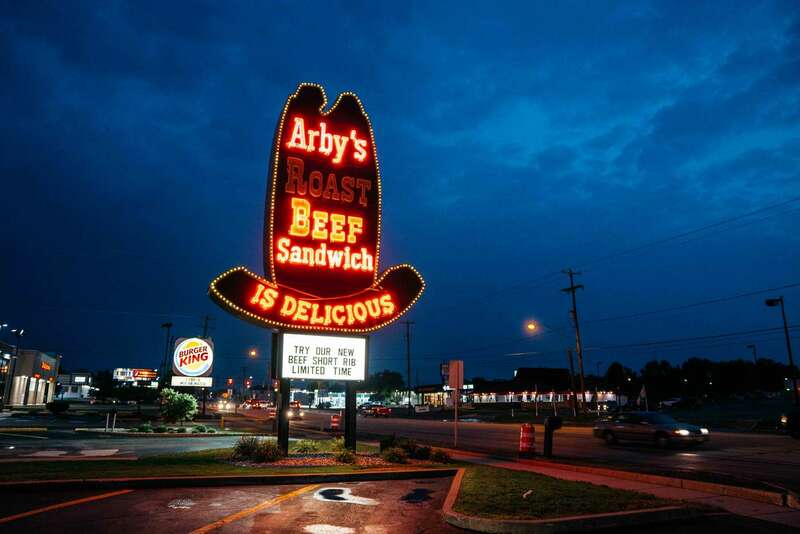 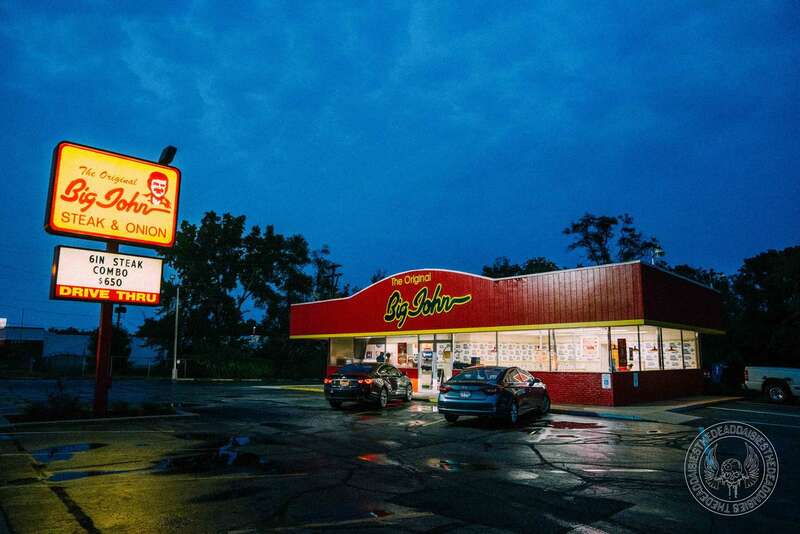 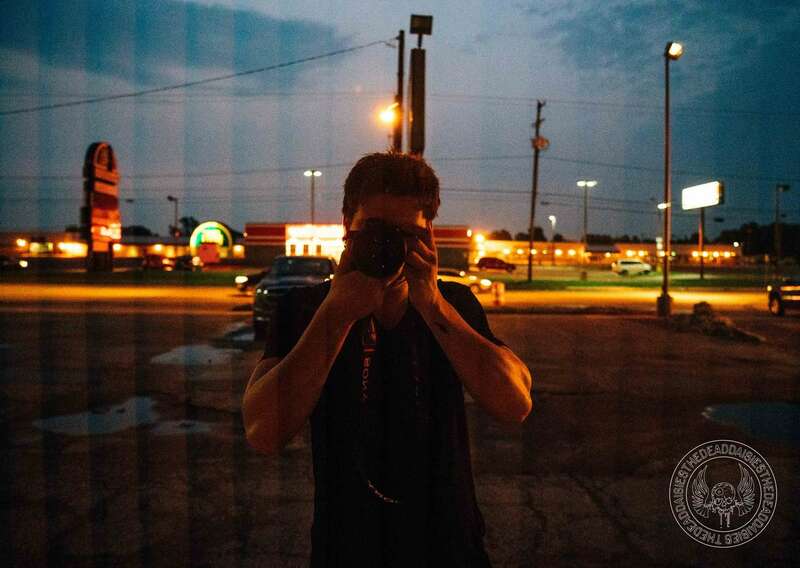 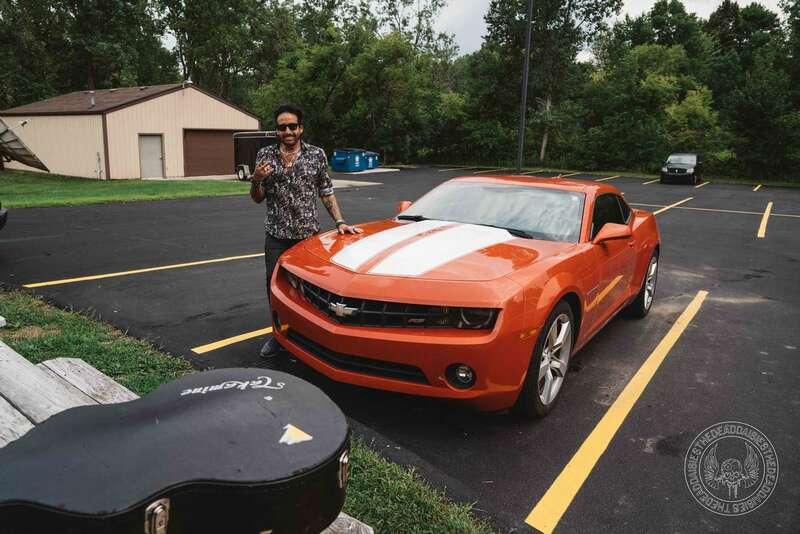 On the outskirts of the greater Detroit area, Flint is famed for being the home of General Motors and being an important part in helping Detroit gain the moniker ‘Motor City’. 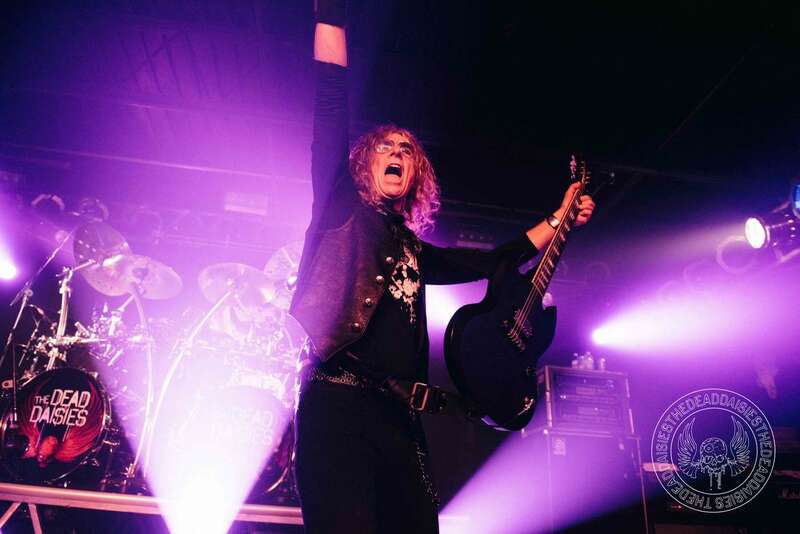 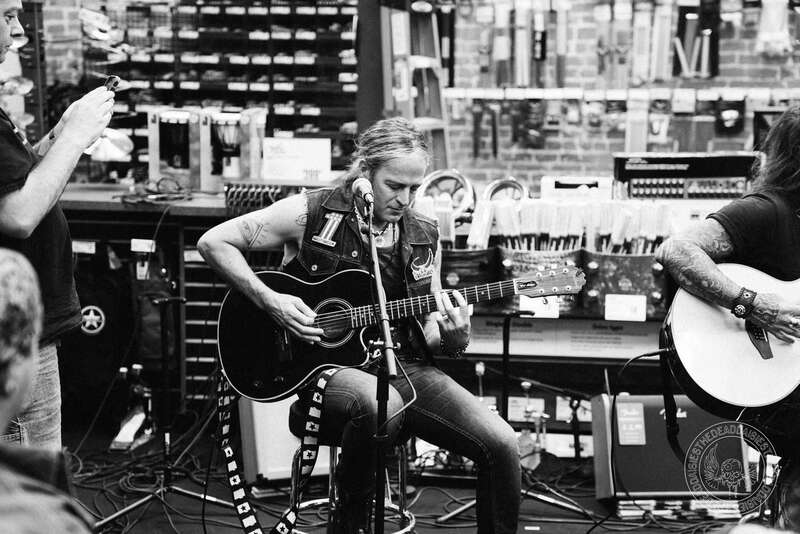 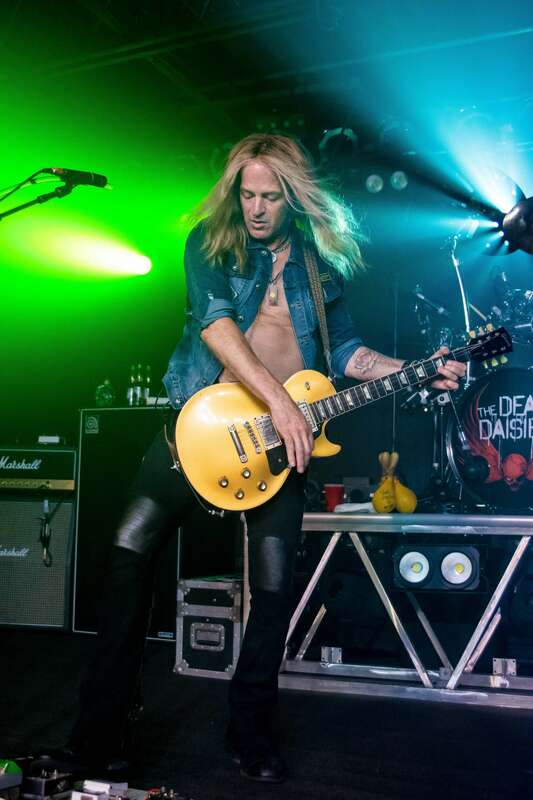 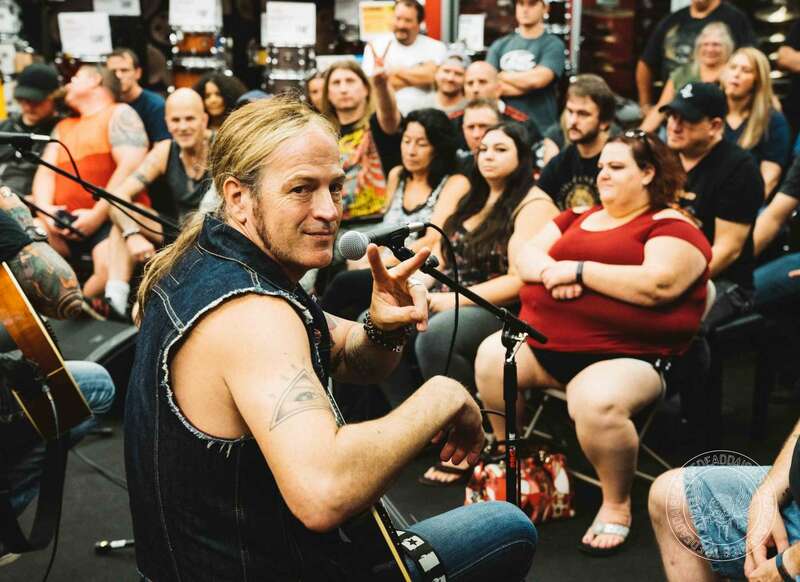 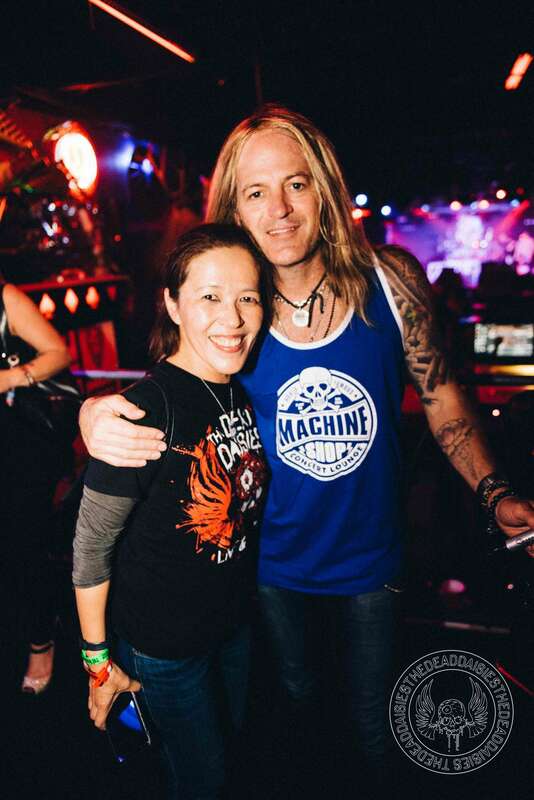 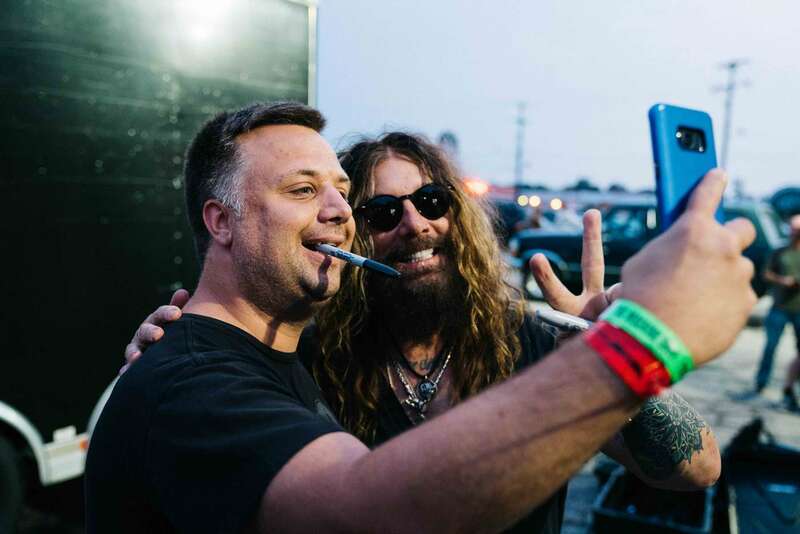 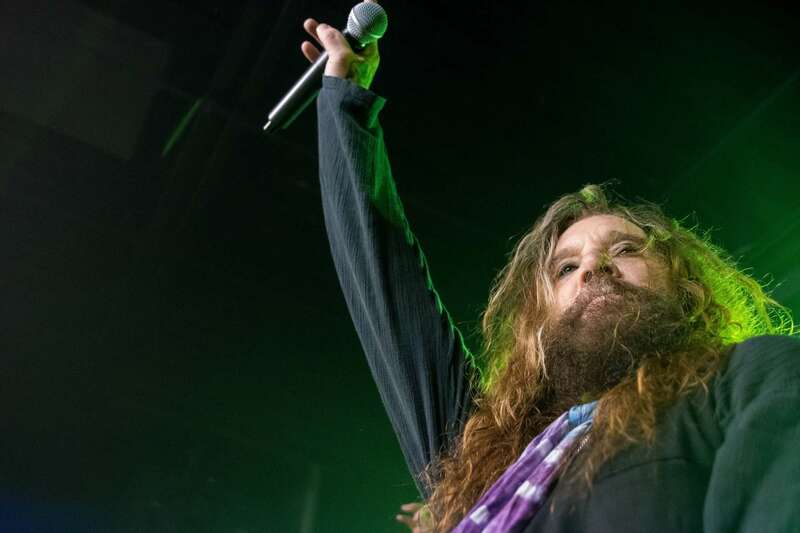 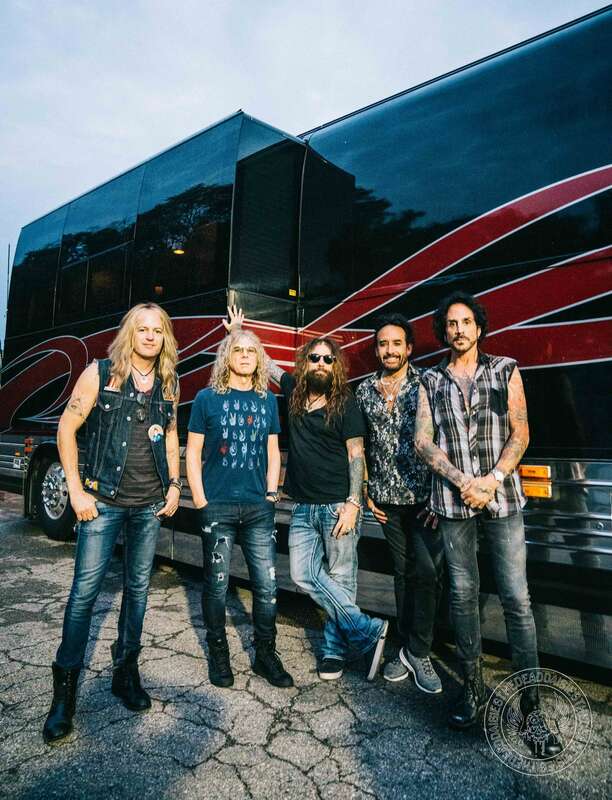 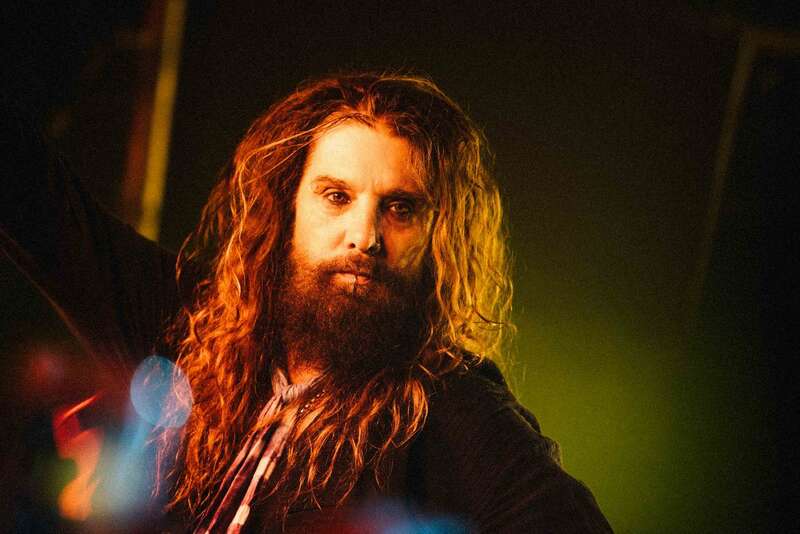 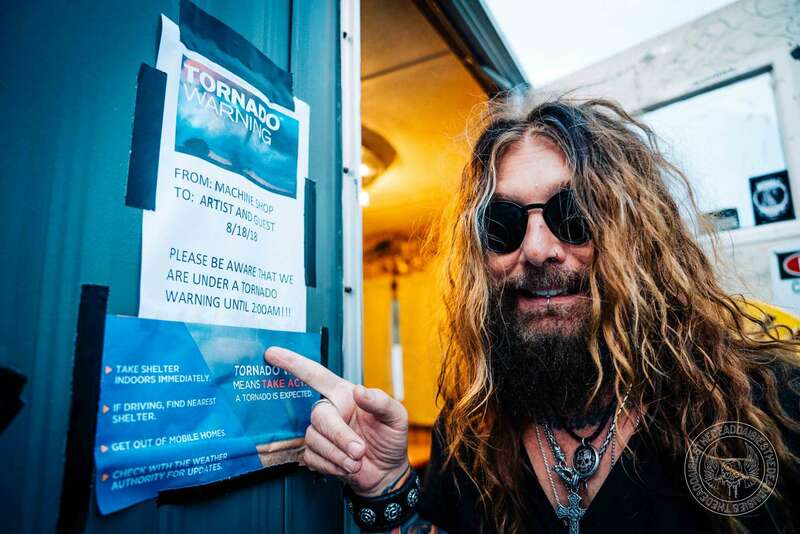 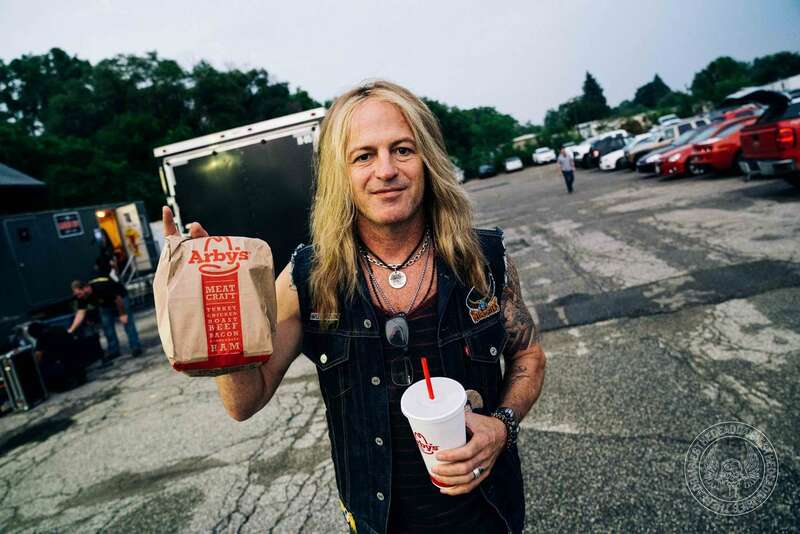 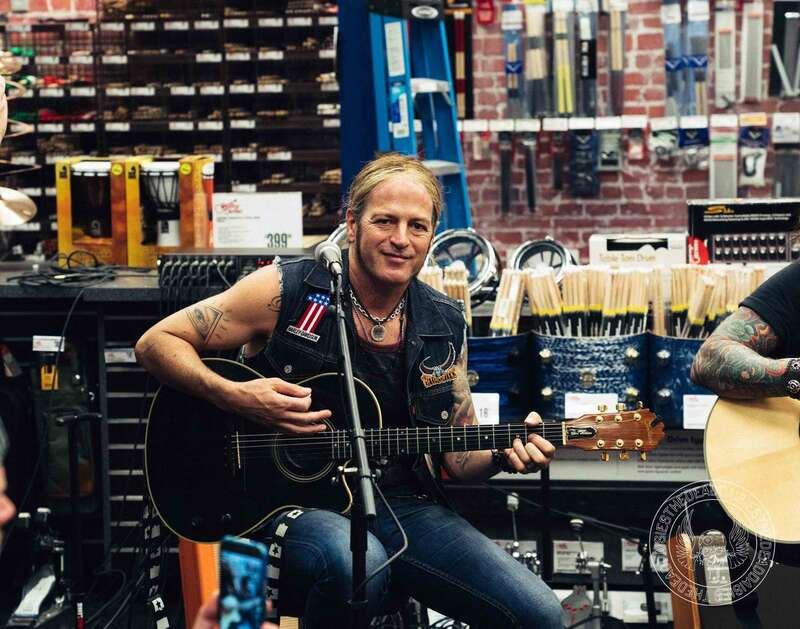 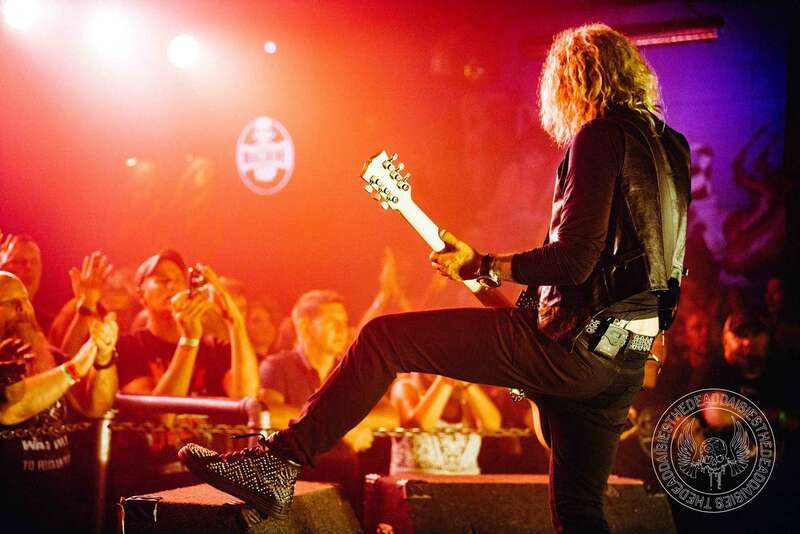 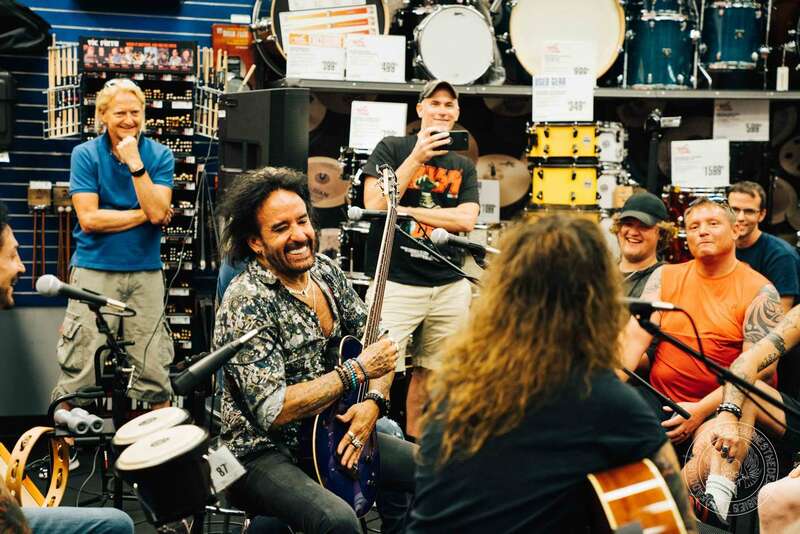 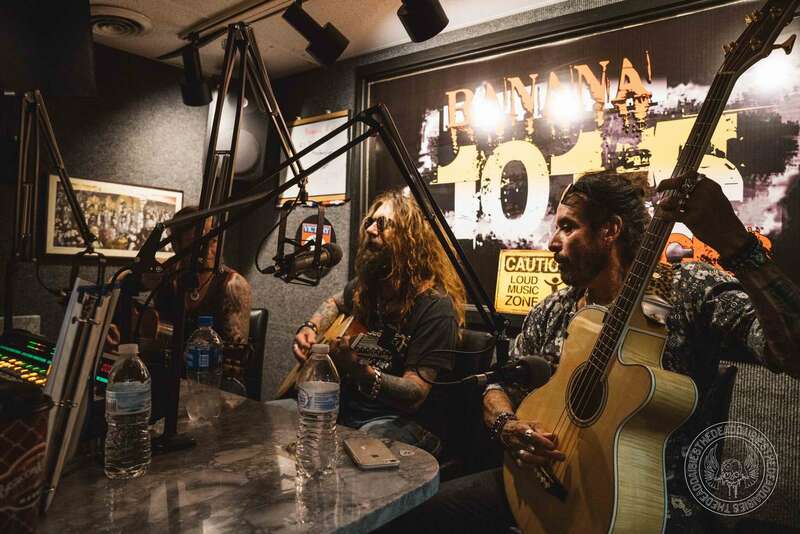 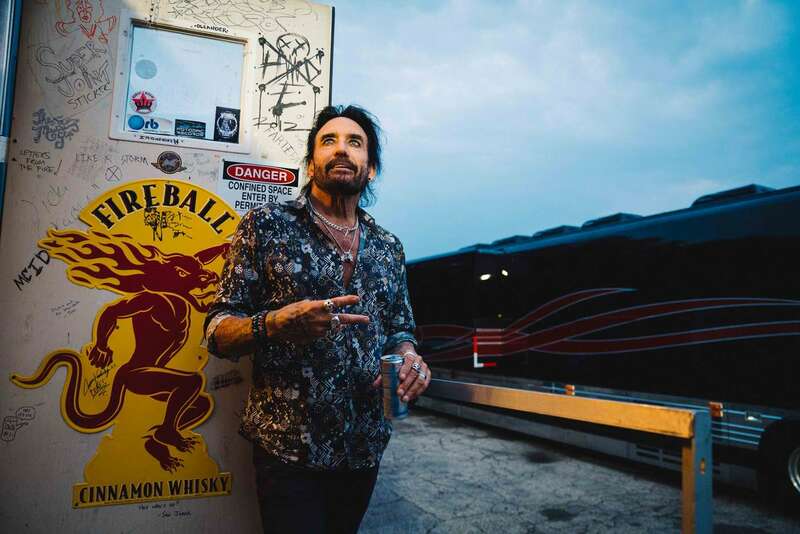 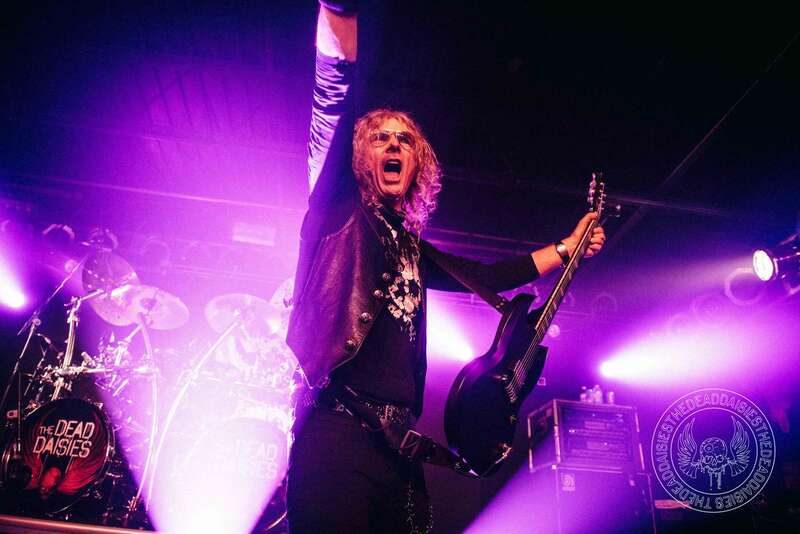 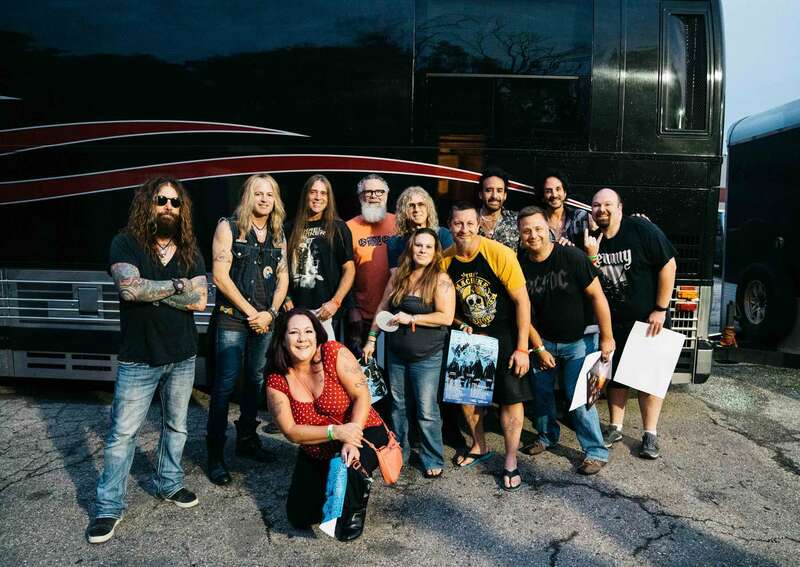 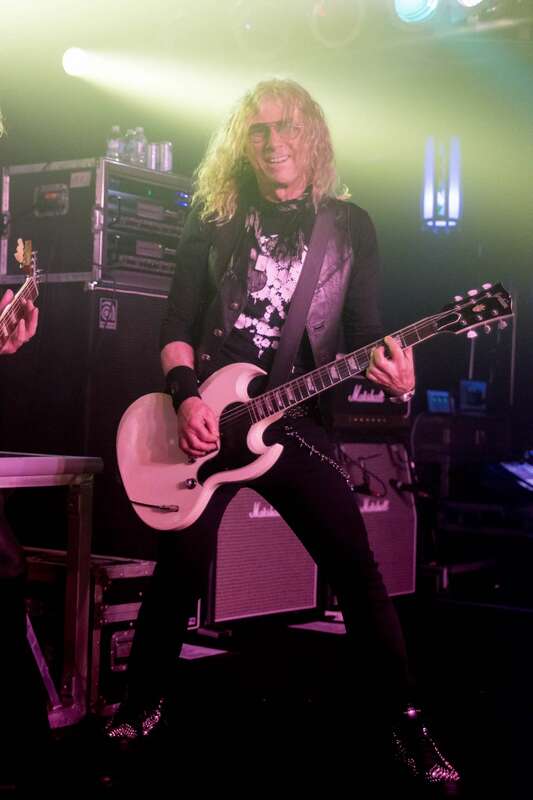 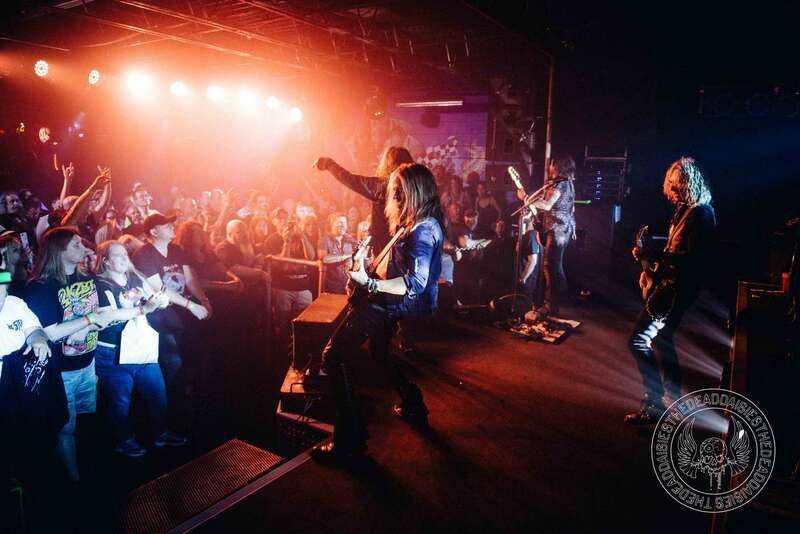 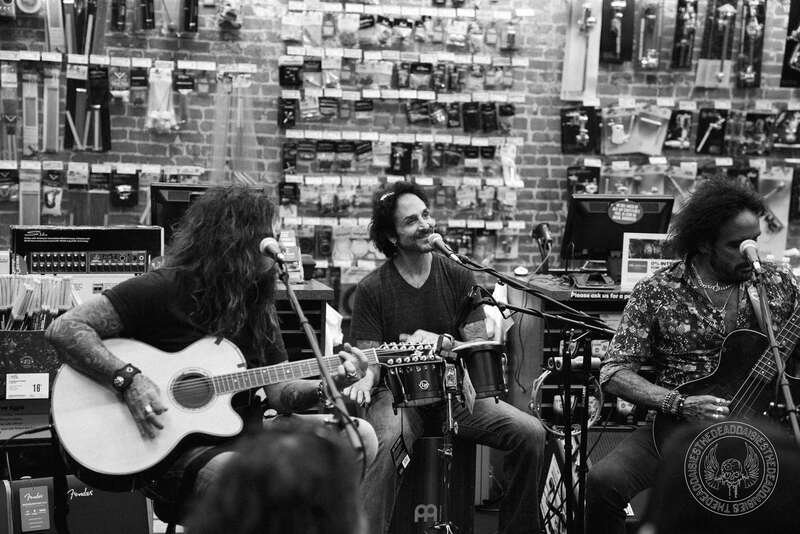 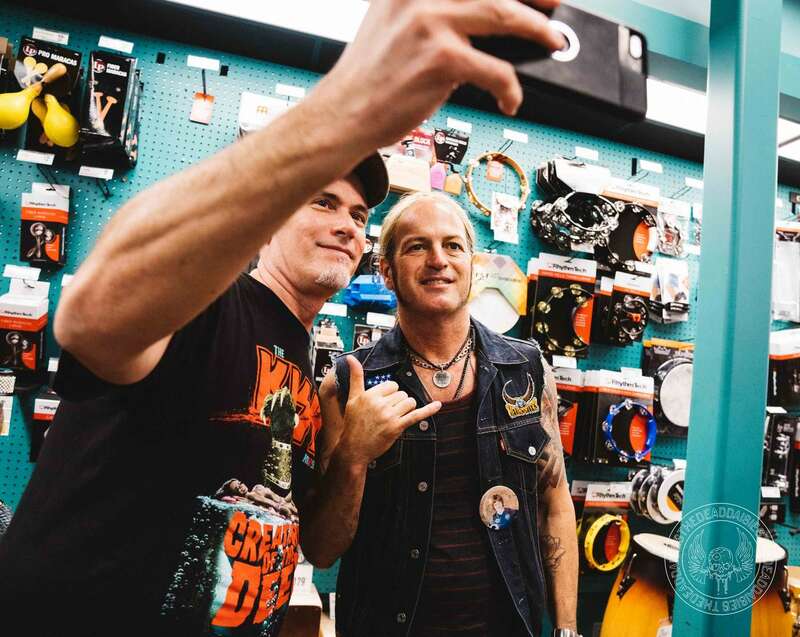 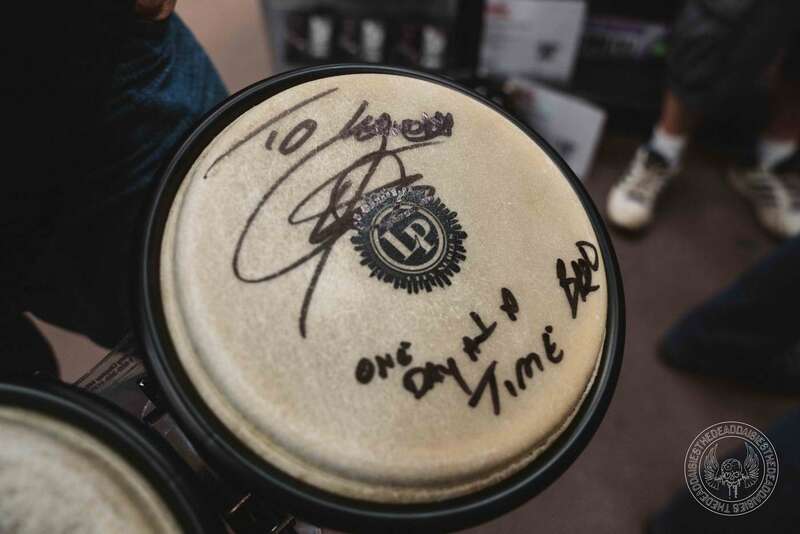 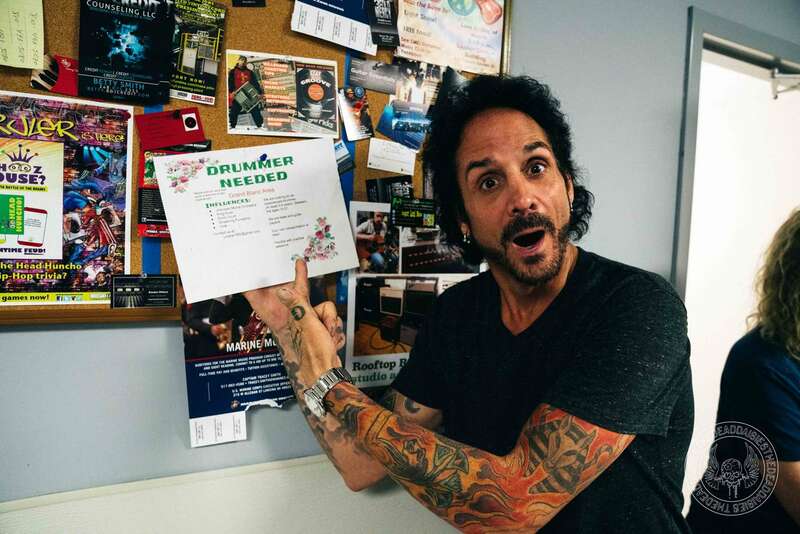 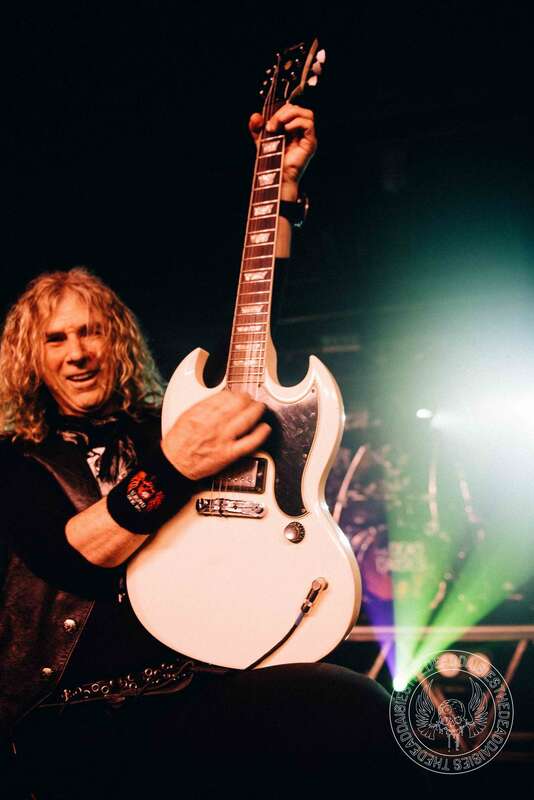 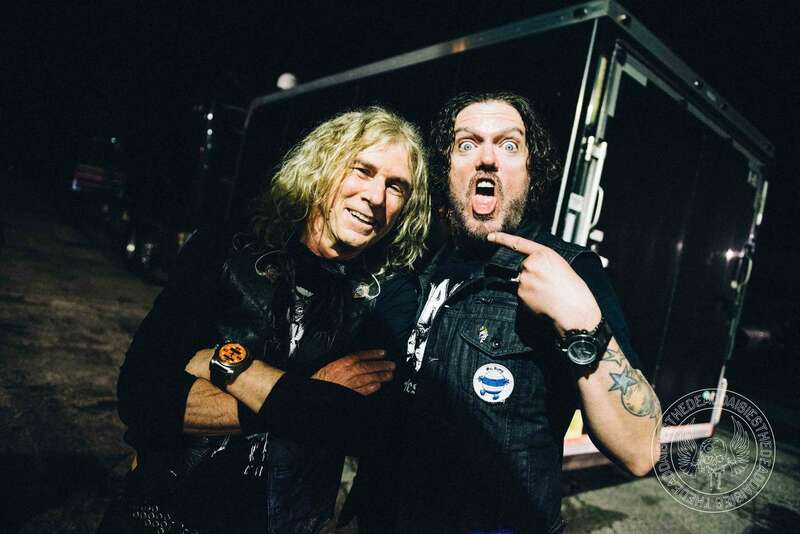 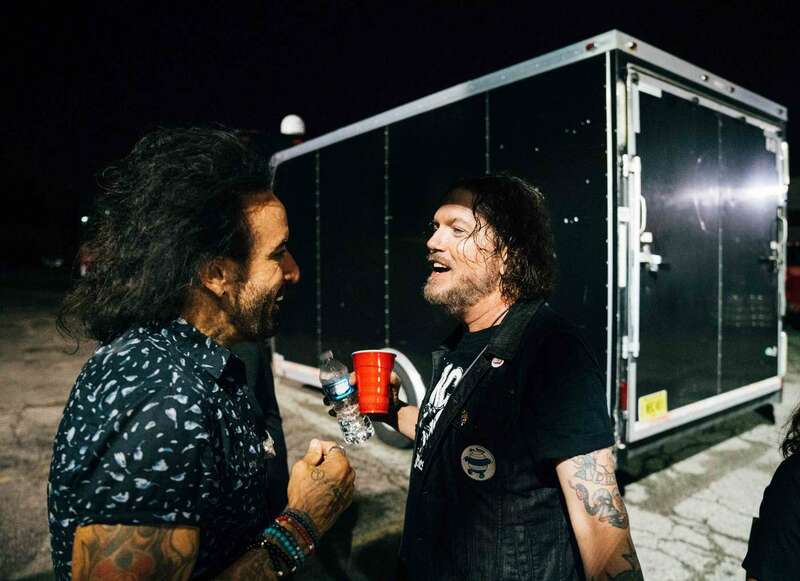 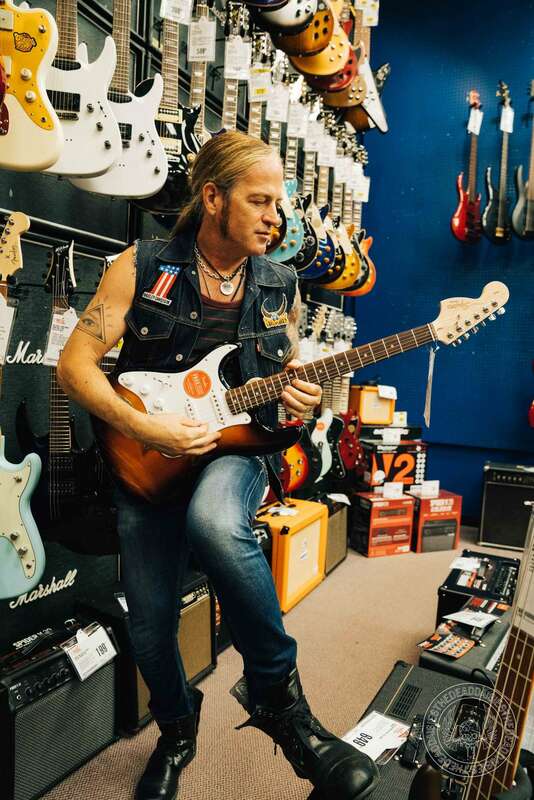 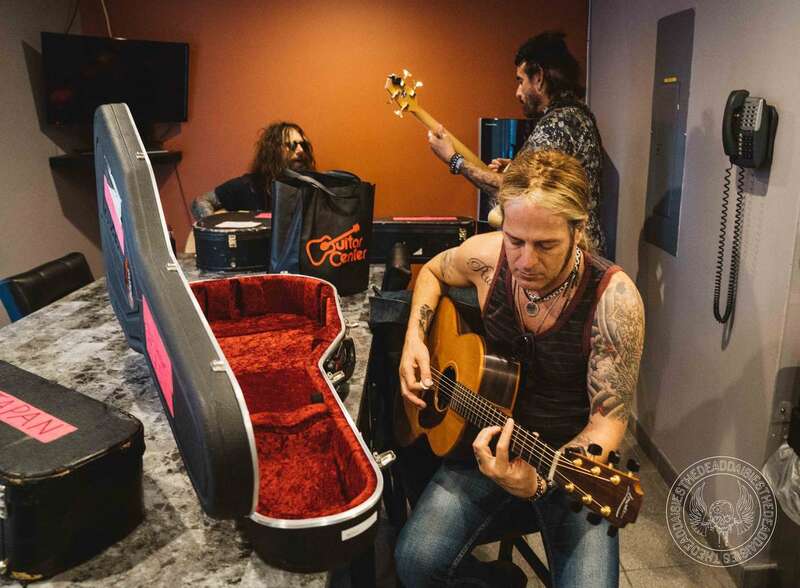 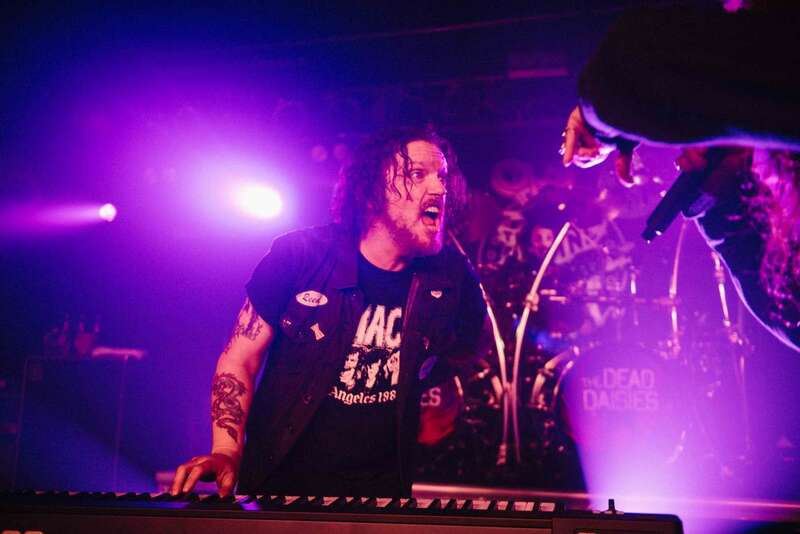 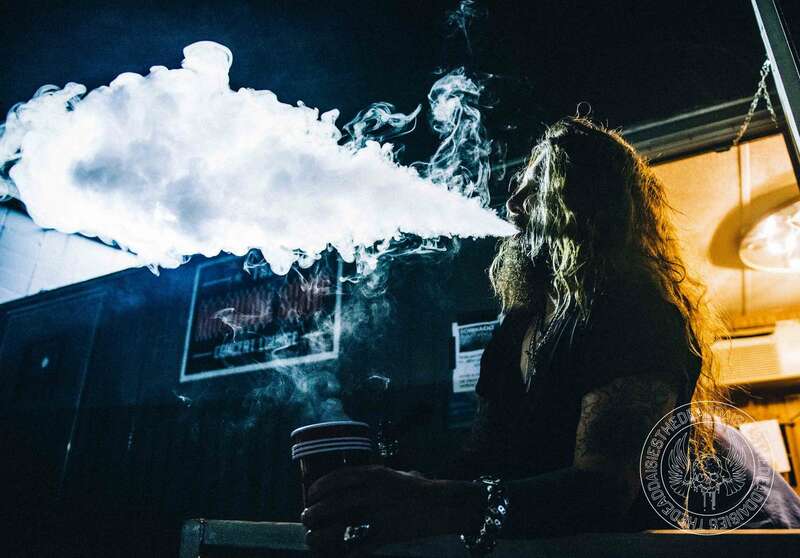 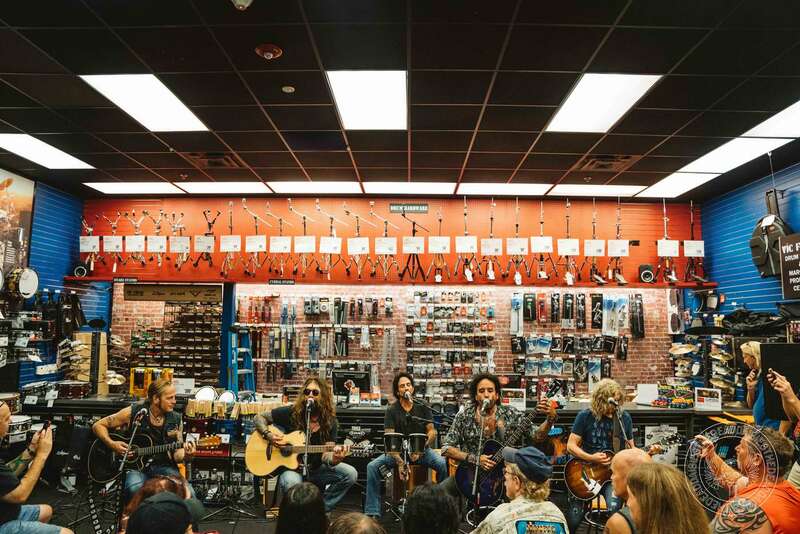 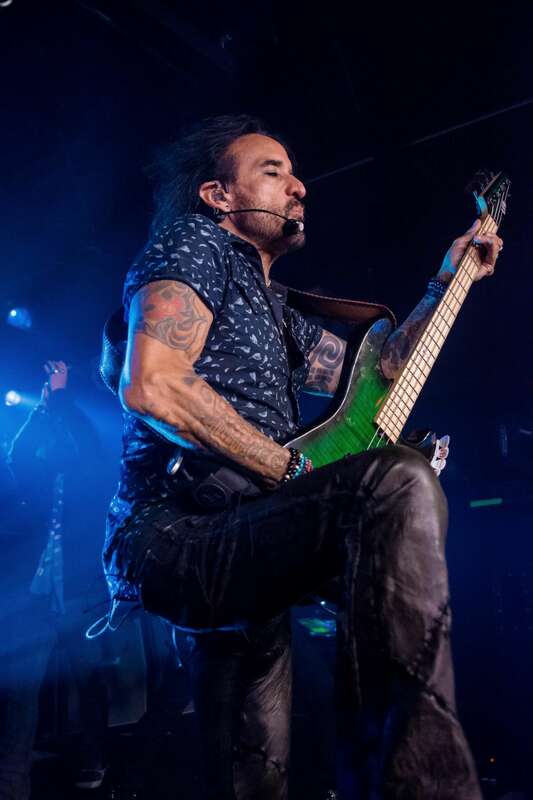 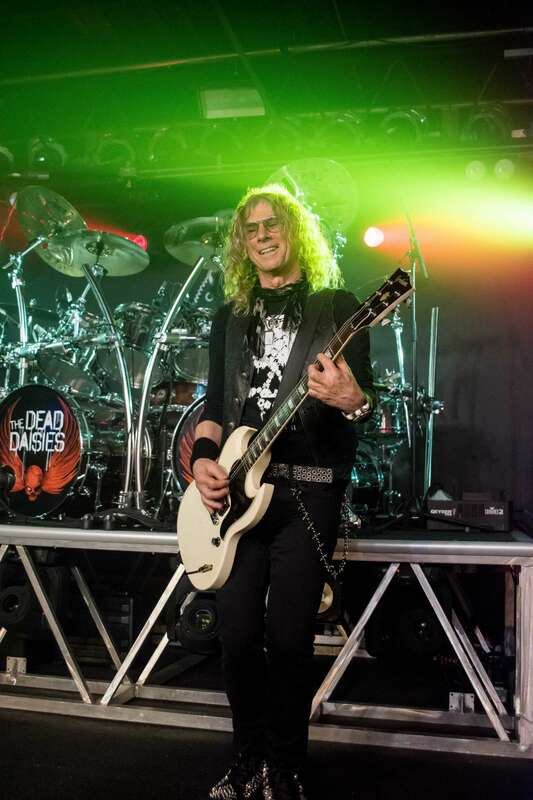 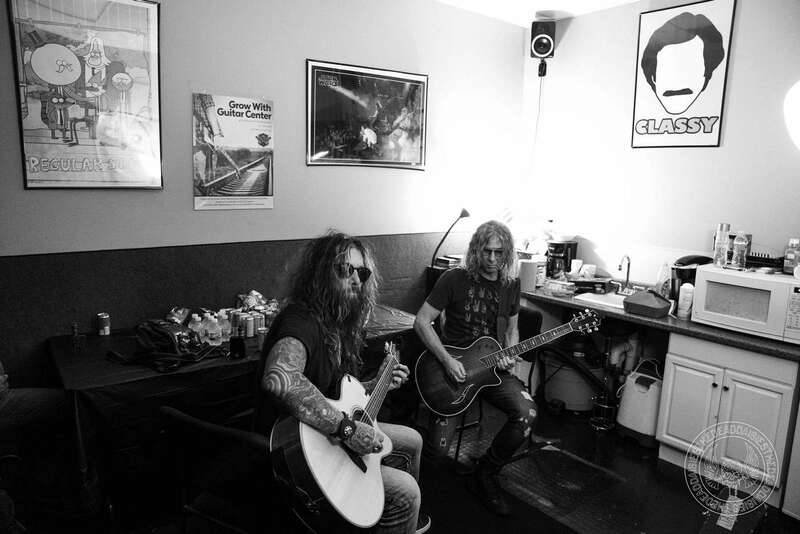 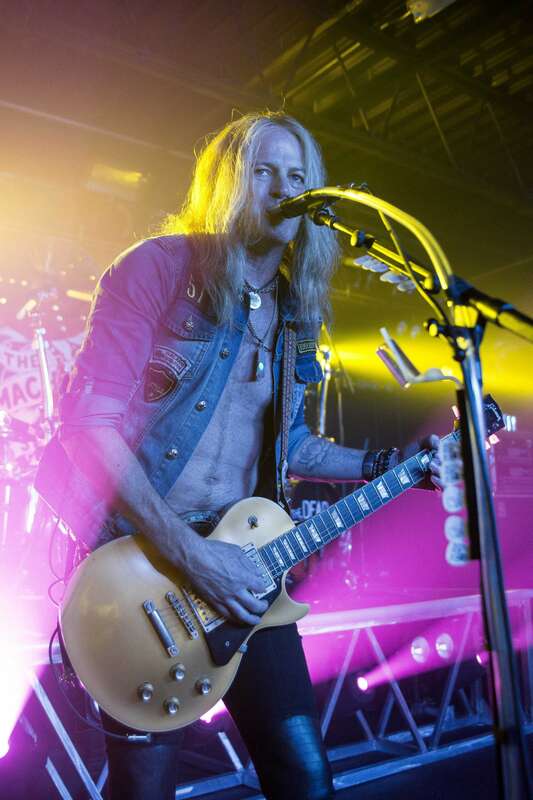 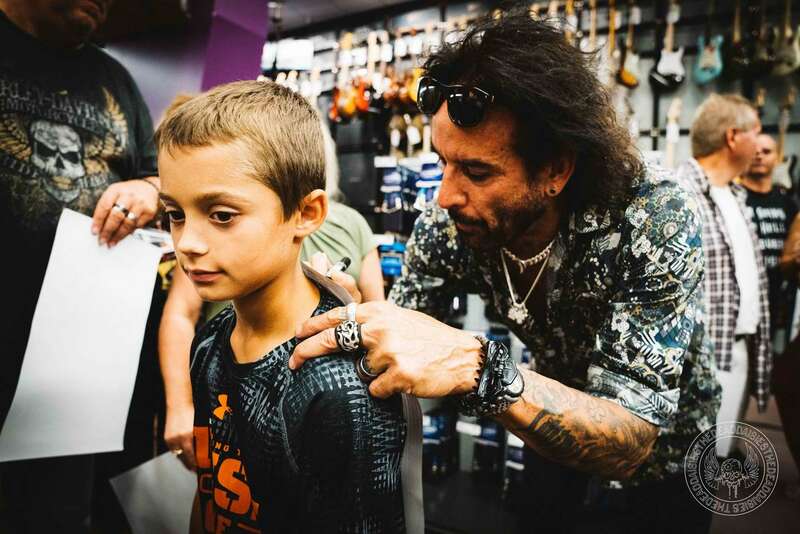 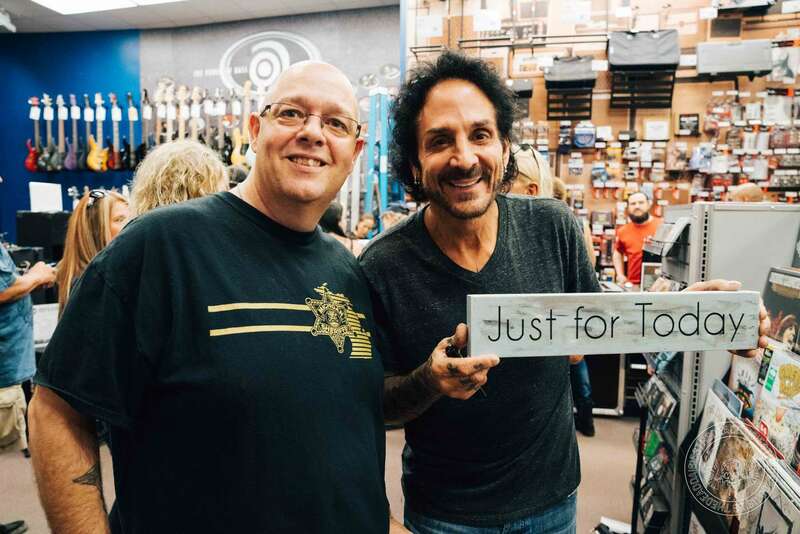 Saturday saw the arrival of The Dead Daisies in the city to wow a full house at The Machine Shop, but first they stopped by the local Guitar Center to play a short acoustic set to an excited crowd that already had their tickets for the evening rock show. 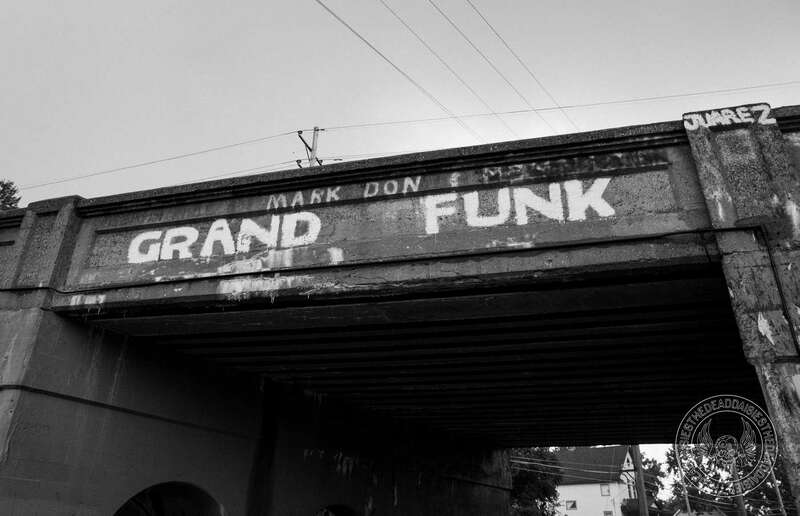 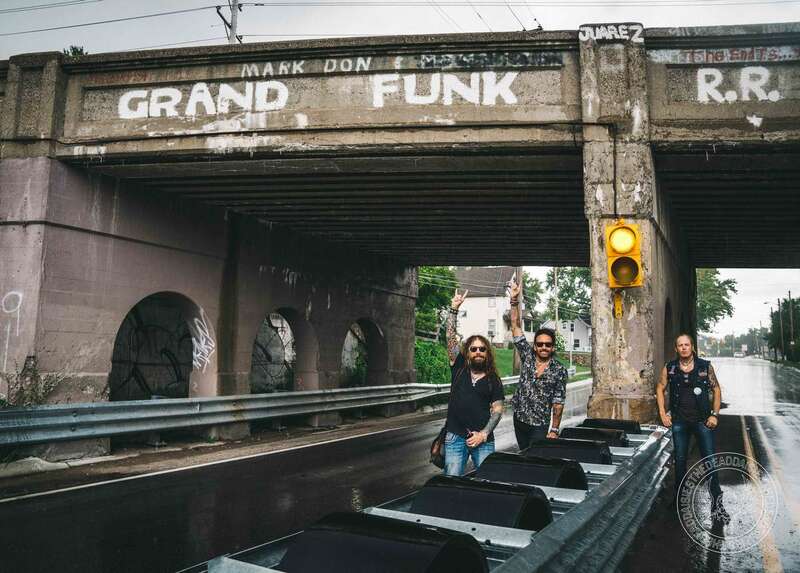 A short stop along the way also took the band to the famed Grand Funk Railroad Bridge, tipping their hats to the band that’s responsible for ‘We’re An American Band‘. 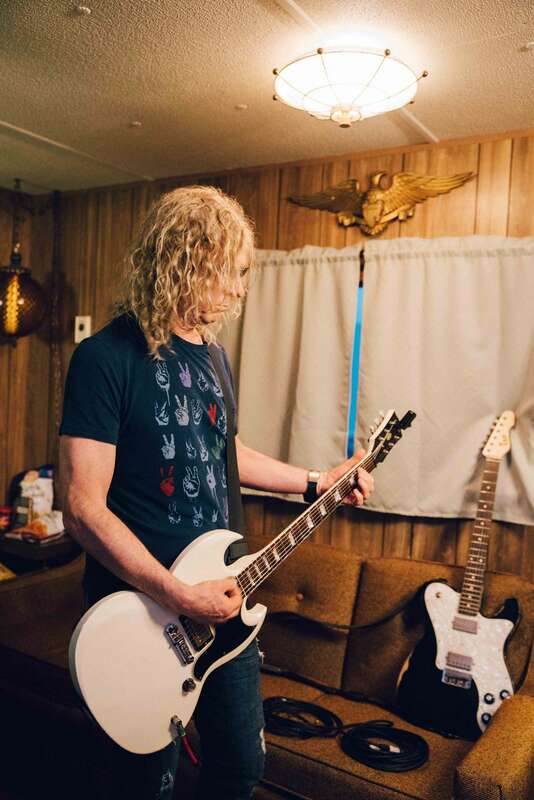 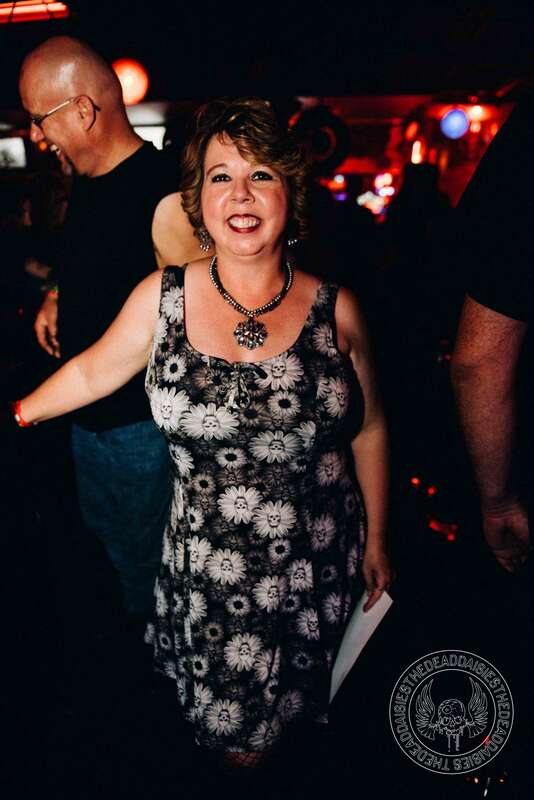 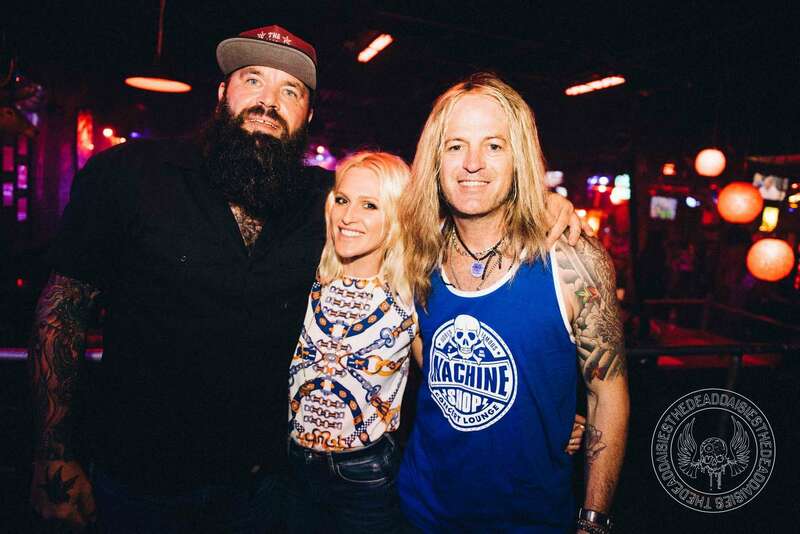 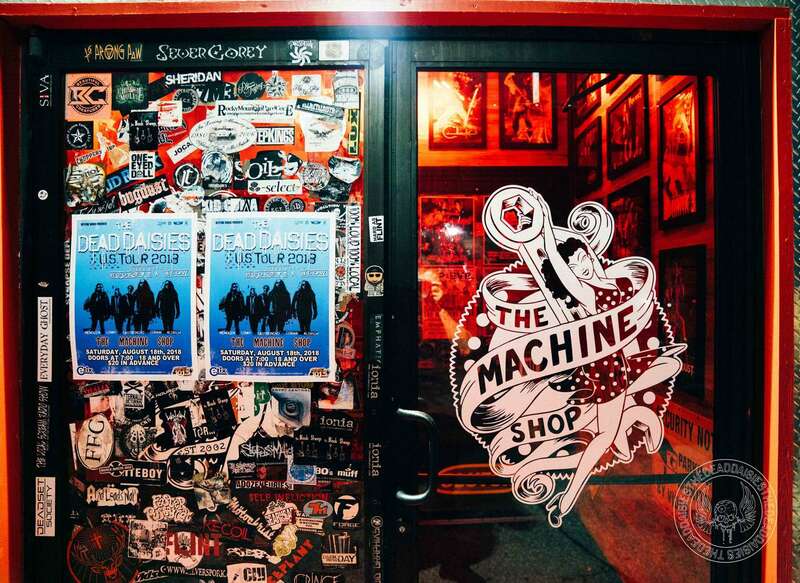 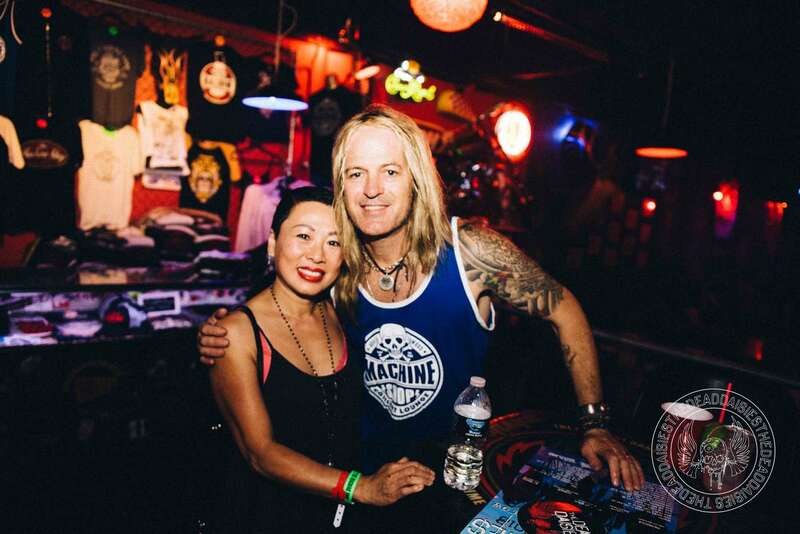 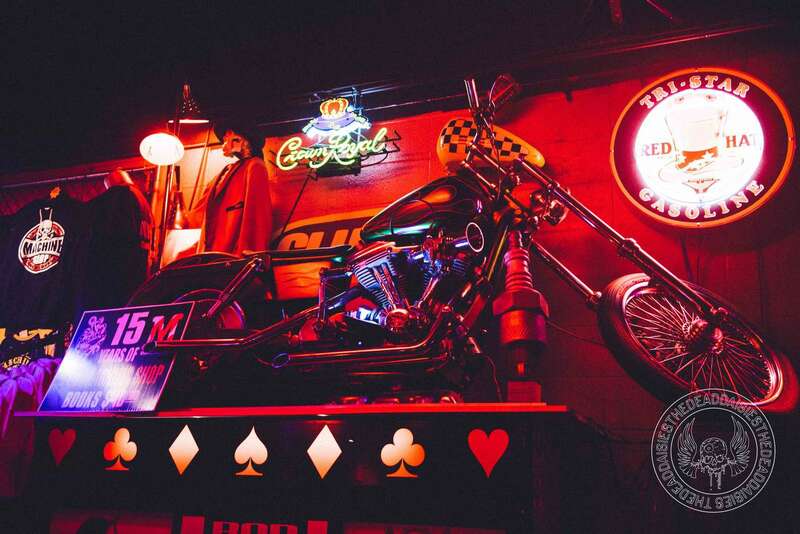 The Machine Shop is popular on the circuit for Rock bands and Outlaw Country acts, according to locals and press! 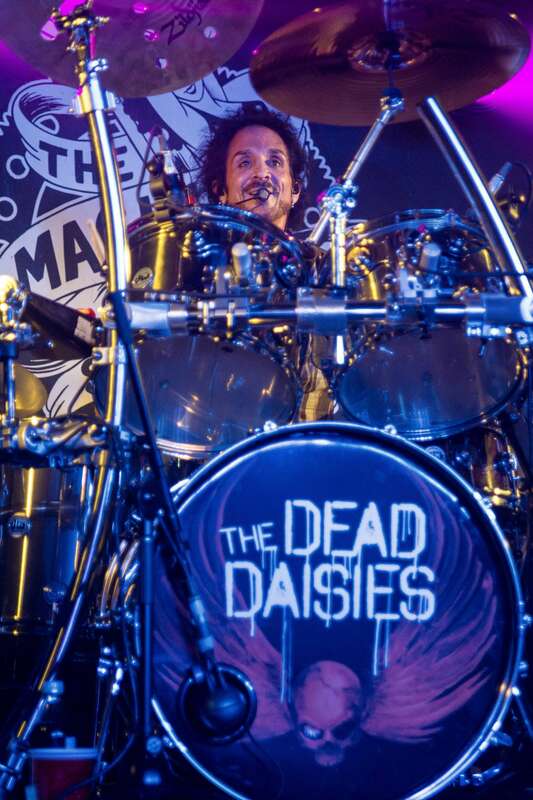 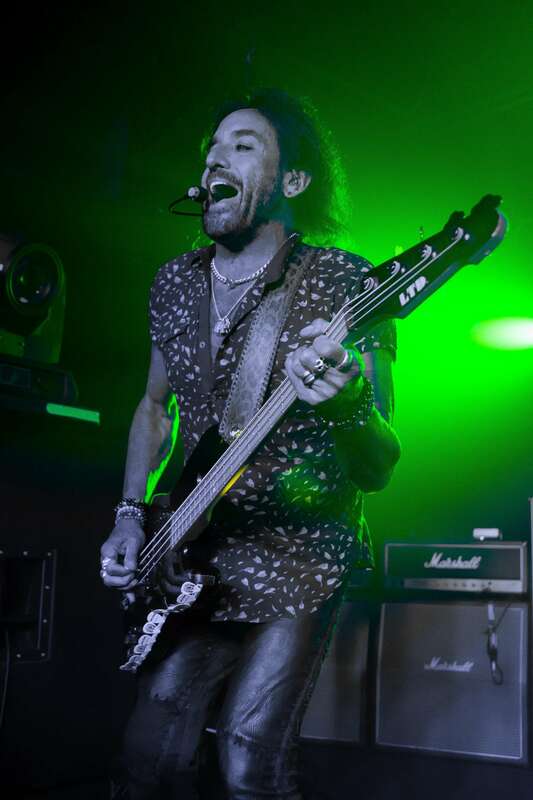 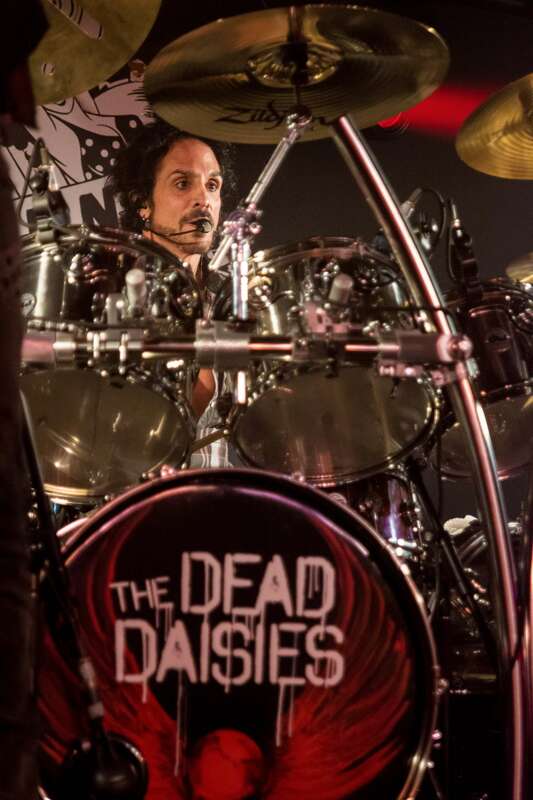 The Dead Daisies drove in and revved up the crowd with a fuel injected set, very much paying homage to the current record ‘Burn It Down’. 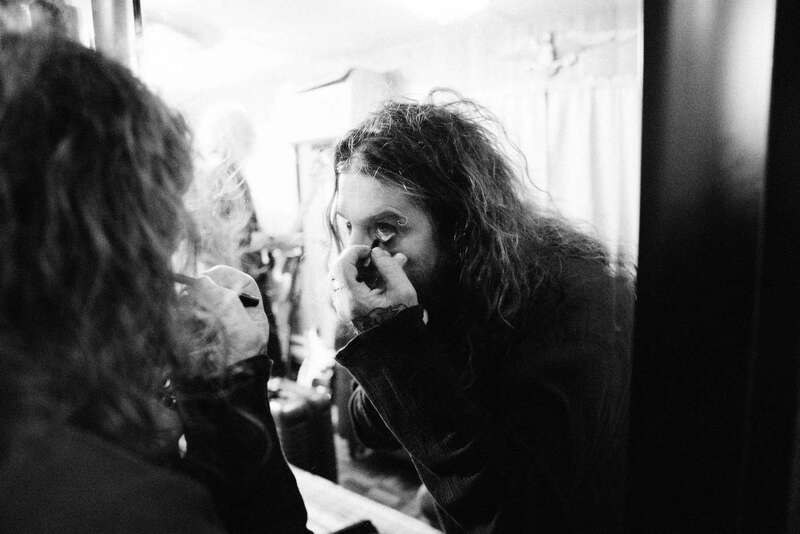 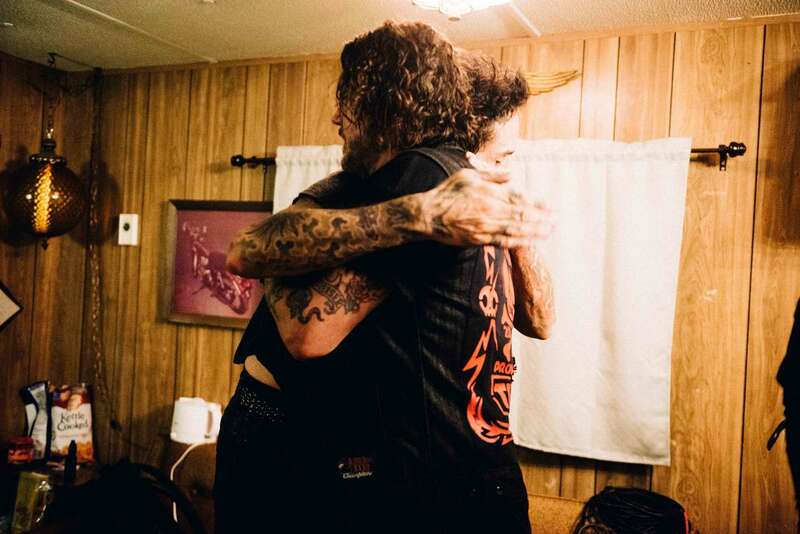 ‘Resurrected’, ‘Rise Up’, ‘Burn It Down’, ‘Dead and Gone’ and ‚B****’ all featured in a set that drove home how hard working the band have been over the last year in taking their music on the road. 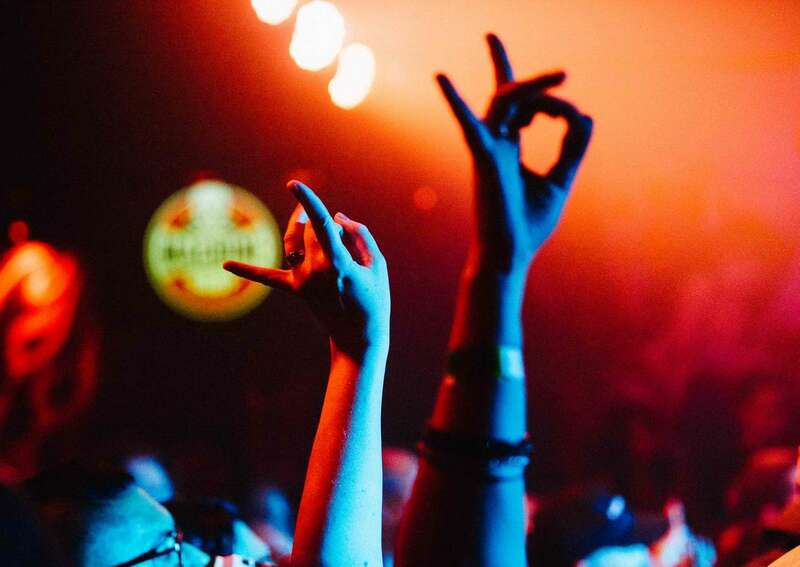 Just like Europe, more and more new fans are discovering the band and turning up not just to one show, but in some cases three or four. 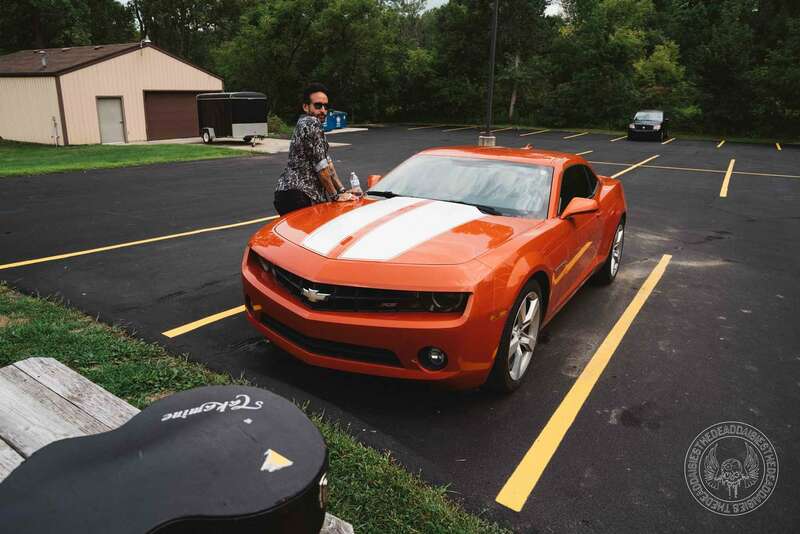 The band really are burning rubber on the highway and next they head to Louisville. 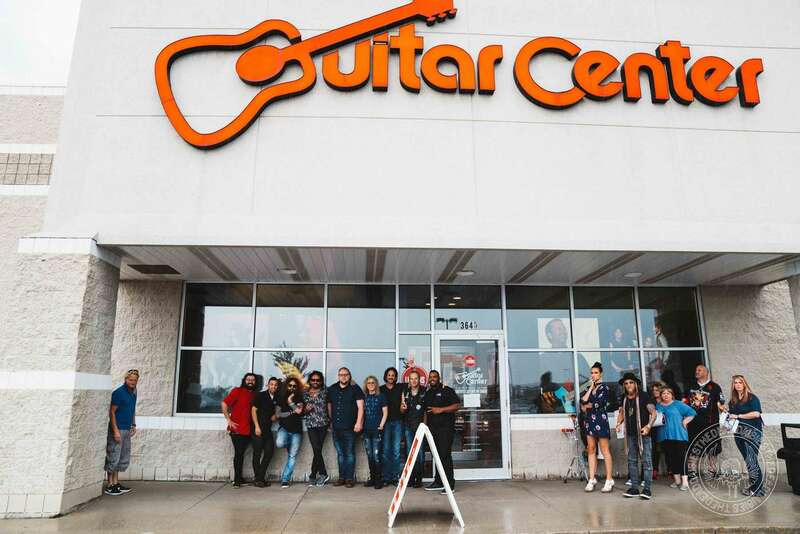 Check out yesterday’s pictures in the gallery below! 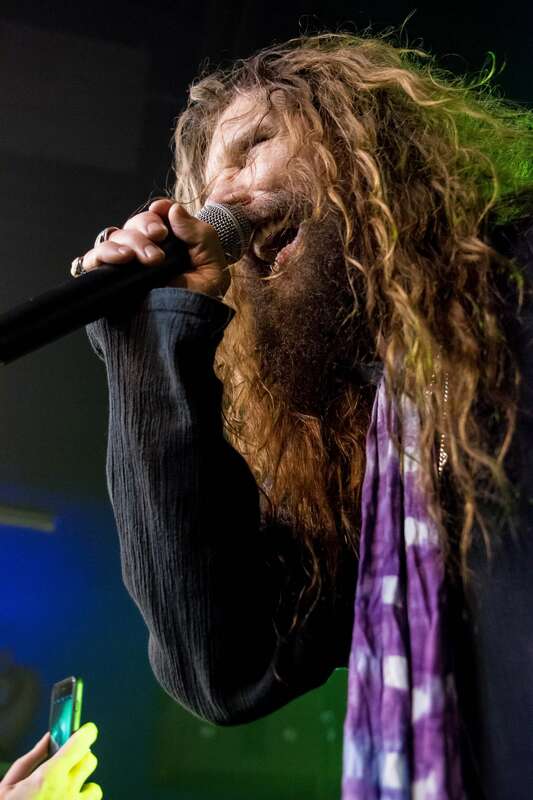 Additional photography courtesy of “Todd Jolicoeur“.